Dogs love when their owners give them encouragement. One of the faster ways to make a dog smile is to call them a ‘good boy’ or a ‘good girl.’ When the pup hears those magical words, their tail instantly starts wagging. 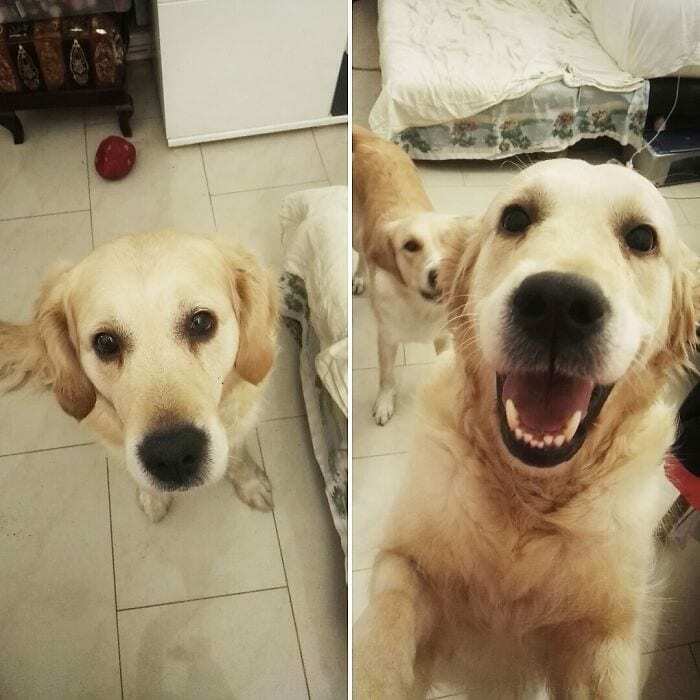 For proof, check out these 12 photos taken before and after the dog’s owner called them a good boy! 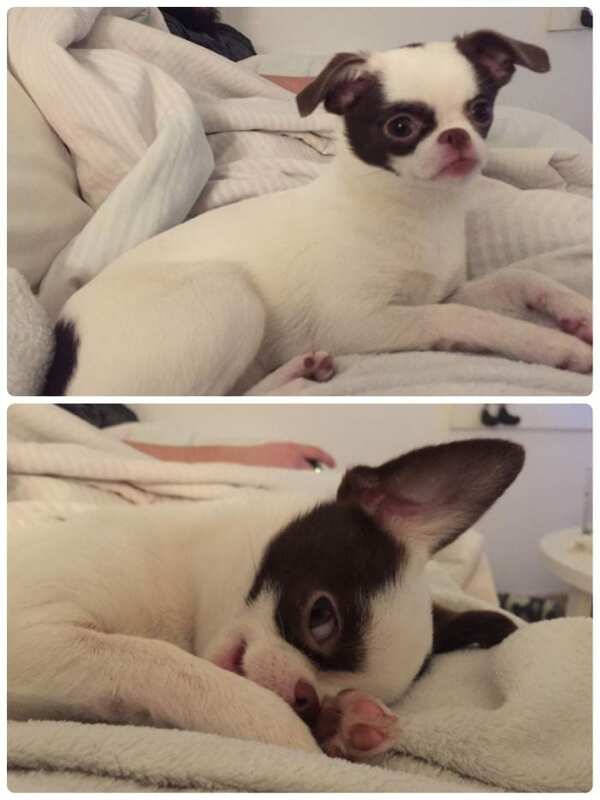 These photos show how much pups love getting praised by their beloved owners. Even though this puppy is young, he already understands how great it feels to be called a good boy. 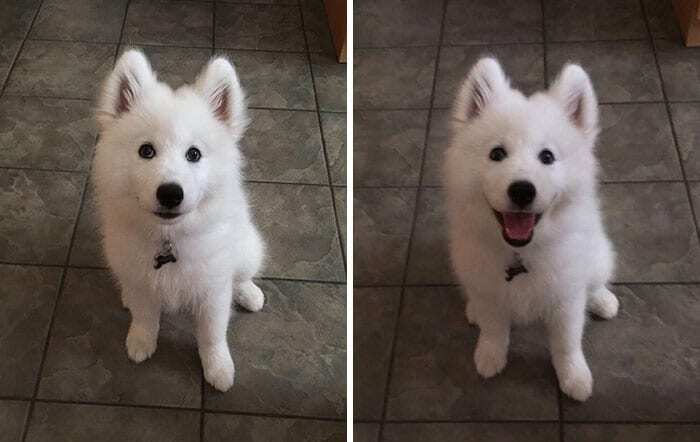 Just look at the way his expression changes when his owner says the magic words. He’s so happy to know that he’s being a good boy! This dog’s owner can always turn his pup’s frown upside down. 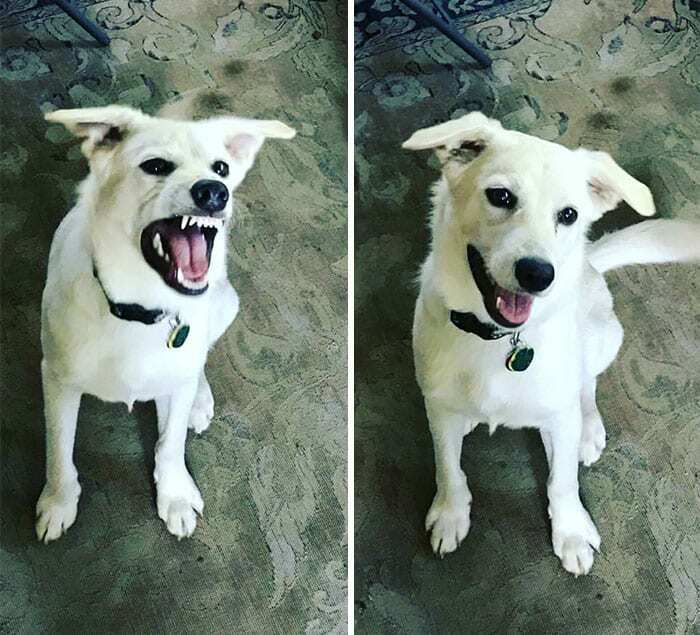 He simply tells his dog he’s a good boy, and just like that, the dog’s snarl goes away and he immediately starts smiling. 3) Did Someone Say Good Girl? This little dog was relaxing when she heard her owner say something that sounded suspiciously like ‘good girl.’ The little dog had to lift up her head and investigate this. She was excited when she learned she had her owner right; she was a good girl! 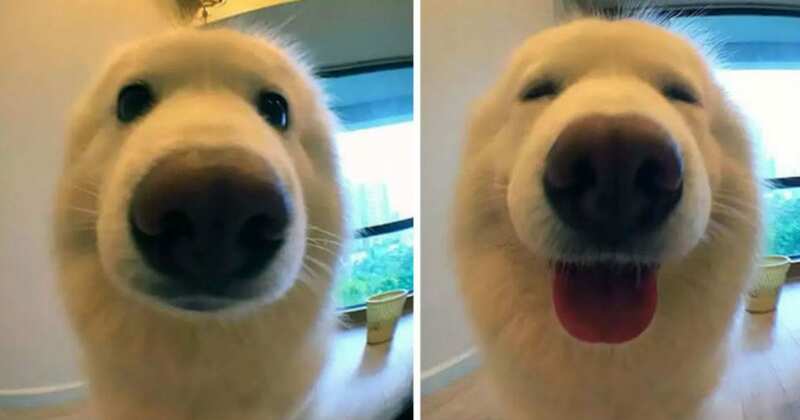 Whenever this pup’s owner calls his dog a good boy, the dog can’t help but smile. We love the blissful expression on his dog’s face—you can tell how much love he has for his human. 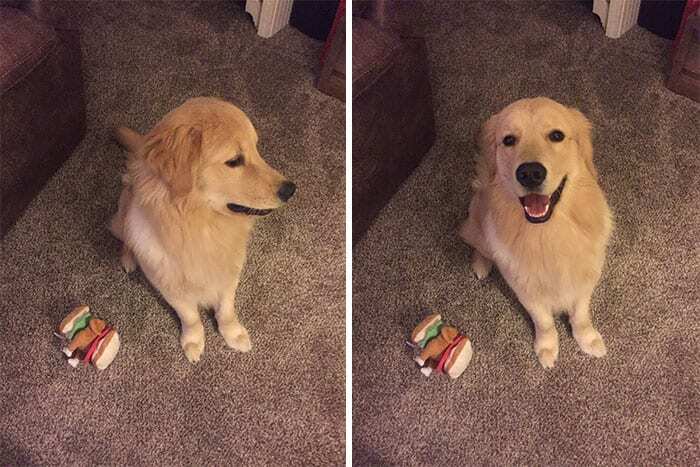 Emily the Golden Retriever absolutely loves being called a good girl. As this photo shows, Emily can’t help but jump for joy when she hears her owner say those two words. Emily always make sure to show her owner how much she appreciates her. This bashful dog doesn’t know what to do with himself when his owner calls him a good boy! The sweet dog is so overcome with emotion, all he can do is hide his face in the covers. 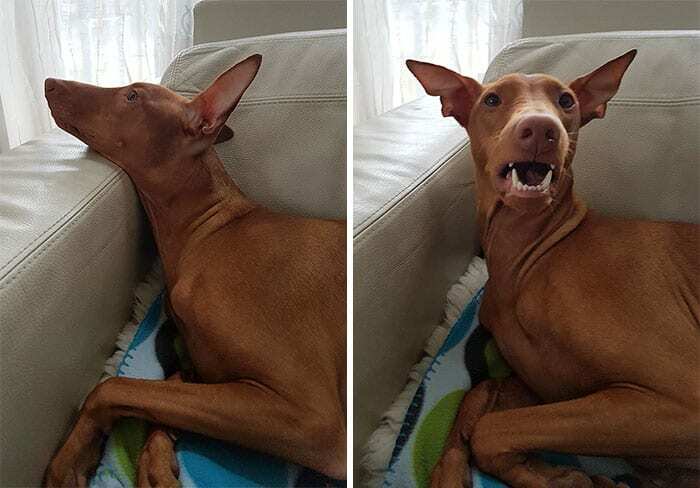 It looks like this dog is saying something like, “Wait, what did you say? I’m a good girl?” The dog is both shocked and excited to learn that she is in fact a good girl! It looks like this Golden Retriever was deep in thought before his owner called him a good boy. But once he heard those two words, his mood immediately lifted. Just like that, the dog was happy as could be. 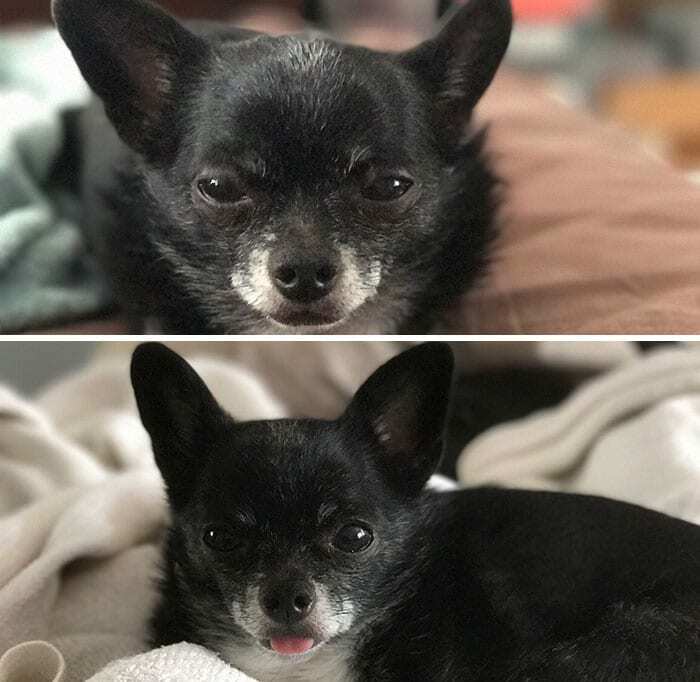 This little Chihuahua showed his excitement about being called a good boy in a subdued the way. The senior dog stuck out his tongue to show his owner his joy, and his owner smiled when he saw his dog’s sweet expression. Here’s another dog who was shocked to learn that she was a good girl. 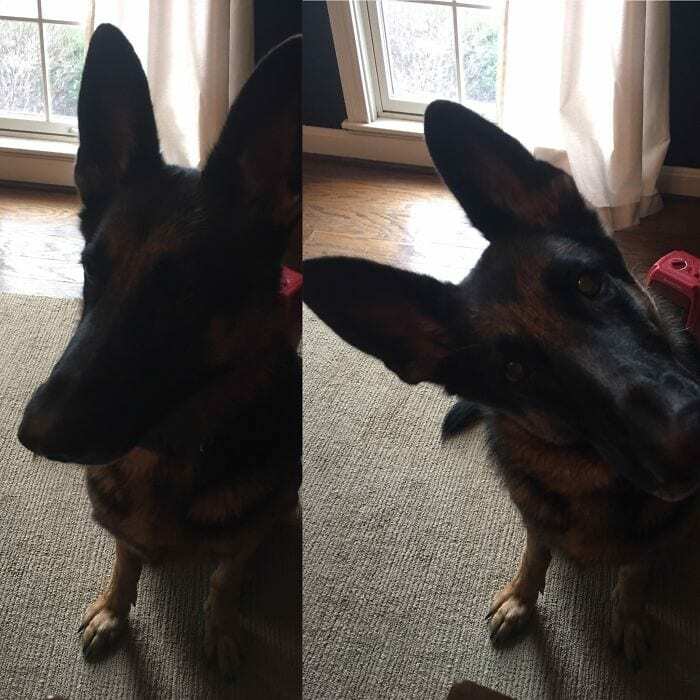 This German Shepherd tilted her head in confusion when her owner called her a good girl. But once she figured out what her owner was saying, we’re sure she was much more excited. 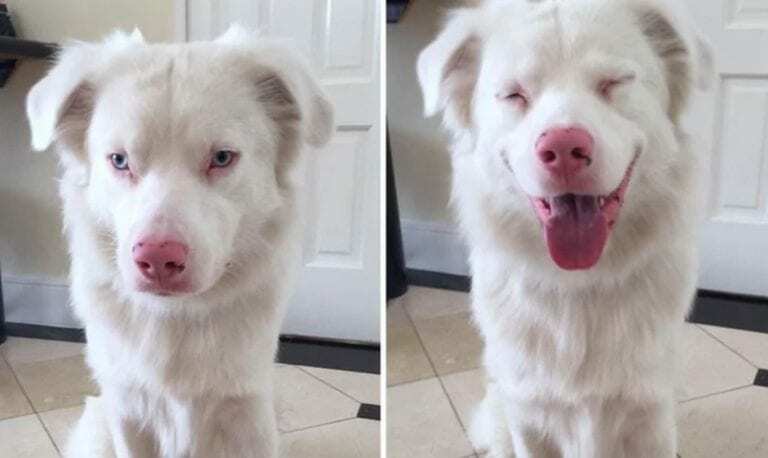 This dog is deaf, but he knows some sign language. 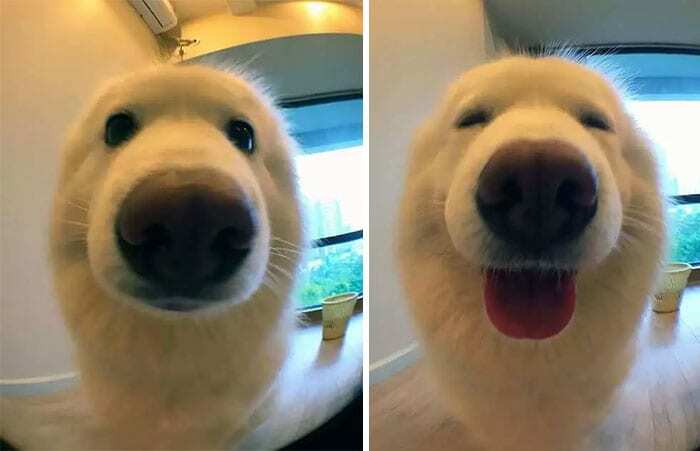 The pup’s owner taught him the sign for ‘good boy’, and now the sweet dog makes this adorable face every time his owner makes his favorite sign! This adorable dog always puts his ears up when his owner calling him a good boy—that way, he can hear his owner better! We love seeing the pure joy on this adorable dog’s face.